Have you been injured due to a slip and fall on someone else’s property? According to non-profit organization, NFSI (National Floor Safety Institute), slip and falls are the leading cause of hospital emergency room visits. To find out more statistics on slip and falls, check out NFSI’s website. Emergency rooms visits are expensive enough, and if you must return for follow-ups, rehabilitations, and therapies, or if further complications arise and you miss work and lose wages, you might want to consider filing a lawsuit against the at-fault party. It is important to remember that Maryland has a deadline to file a claim for a slip and fall. This is called a statute of limitations. If you’re beyond the deadline or statute of limitations has passed since you realized you were injured, you will be ineligible to file a claim. Maryland’s statute of limitations on personal injury claims is three years, which means you must file the claim within three years of the injury. Now that you’re aware of the deadline, you should be consulting a lawyer to represent your case. It is not advisable to represent yourself in court. 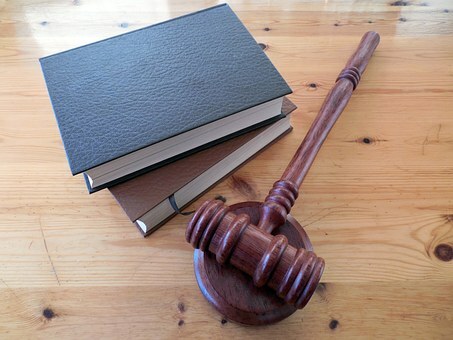 In personal injury lawsuits and regulations, Maryland’s laws are extensive and intricate. A lawyer has years of knowledge and expertise at their disposal, and understands how best to present your case in front of a judge. It can be difficult to educate yourself on your own, and you can bet the party you’re filing a claim against will have an experienced attorney representing their case; especially if you’re suing a business. After consulting an attorney, the uphill climb begins. There is a good chance you’ll be considered a ‘shared-fault’ party, which means you’re partially to blame for the slip and fall, and your case will be classified as contributory negligence. Contributory negligence is determined in a case when the party at-fault claims that the defendant is also partially to blame for the injury. Contributory negligence can drastically affect the outcome of your slip and fall case. If it is clear the defendant, beyond a reasonable doubt, is at-fault for your slip and fall and the injuries, the evidence will show in your favor. However, there are always two sides to every argument, and each side gets to present their case in court. You are not the only one telling your story in a courtroom. You will have to prepare and gird yourself to the fact that the other side will argue against your claim, and may provide compelling evidence suggesting you are also at-fault. If you walk through a grocery store, slip on a wet floor that bears no yellow caution sign or cones, and fall, you’ll likely receive some form of injury. The plausible injury could be a concussion and a cut which needs several stitches, which will lead to an emergency room visit to the nearest hospital in your city. In a clear-cut case like this, you are eligible to sue the grocery store for their negligence. The store may not have physically pushed you, the litigant, but they are responsible for your safety as soon as you walk through their door. A wet floor, minus a caution sign, is a reasonably unsafe environment for anyone. What if there was a caution sign and you ignored it, or failed to see it? The grocery store could pull video from their surveillance cameras and see you pass the caution sign, and if possible, they will try to prove that you saw the sign. They will use this evidence in court, and if the evidence overwhelmingly suggests that you knew the floor was wet, this would be considered a case of contributory negligence. 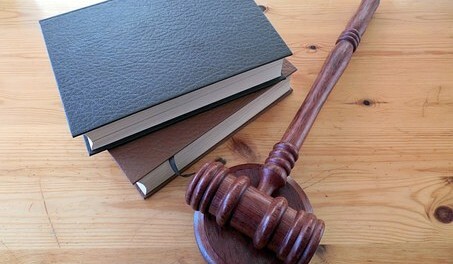 If the court rules in favor of contributory negligence for your slip and fall on the defendant’s property, the judge will completely waive your request for any compensation. It’s not just the camera that could prove your contributory negligence. The other party could claim you wore inappropriate footwear, or that you were distracted by using a cell phone. Before you arrive in court, your attorney will brief you on all of the possible outcomes. The offending party will try to argue your shared-fault and you and your attorney will need to formulate and craft solutions and counteractions to these shared-fault claims from the opposing party. There is a possibility they will be successful in getting a contributory negligence judgment. You and your lawyer will need to produce as much evidence as possible that the offending party is solely to blame. This can be difficult, but your lawyer should be well-versed in how to proceed with your case. What can you do to maximize your chances of winning the case? Document everything. Gather as much accurate information as you can regarding the events surrounding the slip and fall, and also transpired afterward. You will need medical records, and if your doctors believe you will suffer lifelong complications from the injury, you will need those to present to the judge. Also, letters and documentation from your employer that show if you’ve lost any wages or time from work will be helpful, too. With adequate documentation and help from an experienced Maryland personal injury attorney, you will have a reasonable chance of winning your slip and fall case in court.